Healthy Skin: Nothing says healthy like glowing skin. While diet and healthy lifestyles can promote good skin, due diligence given to skin care can keep skin clear, soft and plump for a healthy vibrant look. Since your skin care changes with age, season, stress level, etc, having an esthetician who tailors your skin care in office and at home will make a significant difference. Protects Against Aging: Aging is part of living, but there are many ways to slow down the visible effects. Whether you want to to chemical peels or microdermabrasion, or just want to try skin care infused with vitamins and antioxidants, we can help. Keep Skin Problems Away: Don’t wait until you have a skin problem, think of professional skin care as preventative medicine. Clogged pores can cause acne or aggravate already existing acne. Skin without nourishment can become dry and itchy. Using skin care that targets these problematic skin problems will keep skin clear and healthy. Protects Against Diseases: When skin is in poor health, it is susceptible to a variety of diseases and infections. Since the skin forms a protective barrier against the outside elements, it stands to reason that maintaining healthy skin is the first line of defense against germs and viruses. We’re not just here to give you a pretty face, we care about the health of your skin! Healthy Self-Esteem: Healthy skin makes a happier you. If you’ve a host of skin problems, the chances are you’ll be stressed and worried about your skin condition. But you don’t have to let your skin get you down. Indulge in facials, body treatments or pamper your skin to a whole range of healthy products to attain optimal skin health. 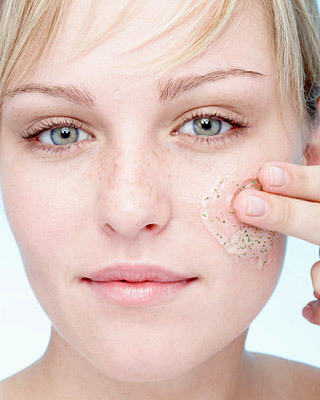 If you’re looking to maintain your skin health or to attain good skin, look to Privy Skin Care. We will analyze your skin and prescribe the kind of skin care that’s right for you. From treating acne to hydrating your skin to Microdermabrasion to body peel, we have all your bases covered. Contact us to schedule your first consolation, or your next appointment!